You’ve put techniques into place to drive traffic to your website. Good for you! But do you actually know if you are being successful? There are some great tools available to you to help you determine which techniques are working for you and which are not. The best way to determine if the techniques you are using are working is through the use of analytics. One of the most popular analytics to use is Google Analytics. 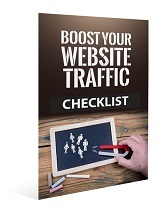 It’s free, very reliable, and will provide you with a great deal of information about the traffic to your website, and the behavior of your visitors. If you choose to use Google Analytics in its more advance form you will be able to see the number of daily visitors to your website, the top sources of that traffic, where your traffic is coming from, even which search engine is sending you the traffic. You will also be able to explore which keywords your visitors are using, and which pages of your website they actually land on. That’s an amazing amount of information for you to see and all for free. It’s a great way to quickly see whether your traffic techniques are working in your benefit, as well as just how well they are working. 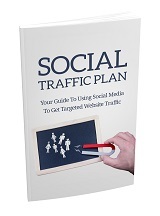 If you aren’t targeting the right visitors to your site, you are wasting traffic. It’s of no value to you to have tons of traffic if they are not at all interested in what it is you have to offer. You can use your analytics to determine this by looking at your bounce rate. For example, let’s say your bounce rate is 90%. This means that 90% of the visitors to your site immediately hit the back button and bounce back to another domain. This means you need to look at things like the keyword that’s causing the wrong visitors to make it to your site. You can also examine whether the traffic is coming to your site from the country’s you are targeting. Look at the visitor segmentation – languages, browsers, network locations, etc. You should never get bored with your analytics whether Google or another source. They provide key information so that you can quickly know whether your traffic techniques are working for you and to what degree they are working, or if they are failing you and it’s time to make changes. Make use of the tools at your disposal!